It is my privilege to serve as principal of Marjory Stoneman Douglas Elementary school. Our school serves over 1200 students from Pre-K through 5th Grade on three beautiful campuses, the PLC, the ECC and the Main Campus. Our students are provided an academically rich curriculum that fosters educational excellence in a dual language (BISO) model. Furthermore, our teachers and staff instill in our students a respect for historical, cultural, and individual diversities with an emphasis on the preservation of our environment and an appreciation for the arts. 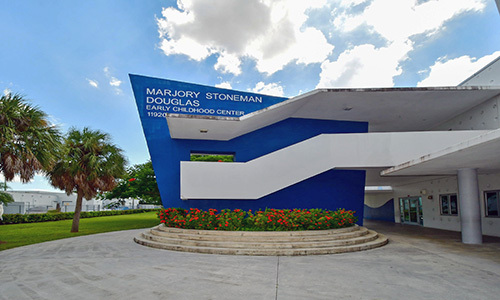 I am very proud of the academic successes that Marjory Stoneman Douglas Elementary school has achieved over the years and strive to continue to maintain the quality in education and nurturing environment every student is entitled too. I look forward to continuing the tradition of “pride and excellence” to our school.